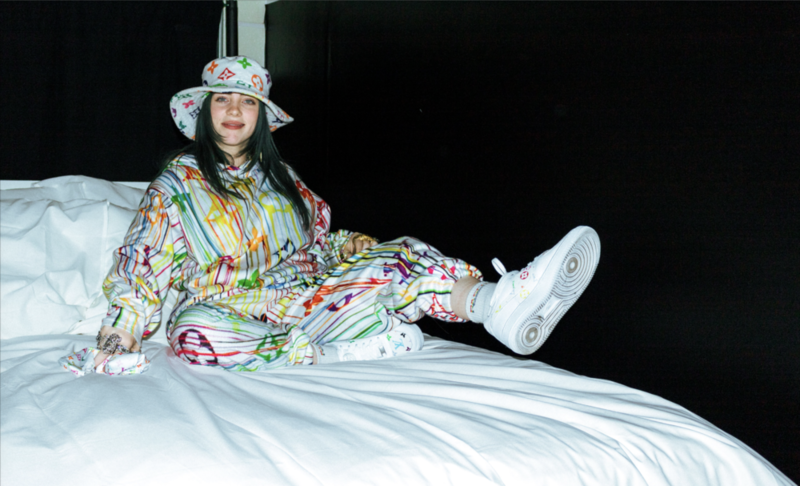 Kicking off the launch of her debut album WHEN WE ALL FALL ASLEEP, WHERE DO WE GO?, Billie Eilish and Spotify have created an immersive experience, guiding you through the album with 14 rooms dedicated to each track. Located at The Stalls at Skylight Row in Downtown Los Angeles, each multi-sensory room matches a visual to the sound of the track. This Thursday, Billie, clad head-to-toe in an outfit dripping in the Louis Vuitton signature, guided a select group, including the likes of Heidi Klum, Tove Lo, Bhad Babie, and Nina Nesbit, through the exhibit. Billie’s synesthesia played a large role in the production of the rooms— each one alluding to the inner workings of her mind. From foam pits to toy race cars to foster puppies, the exhibit is made to stimulate every sense. The pop-up experience is open to the public from March 29 to 31, but if you can’t make it— it might be the place you go when you fall asleep.